These are gifts for the girl that is a homebody. The girl whose's home is where her heart is. Her home really is her castle. Whether she is relaxing at home alone or hosting a dinner for friends, she would rather be at home than anywhere else. 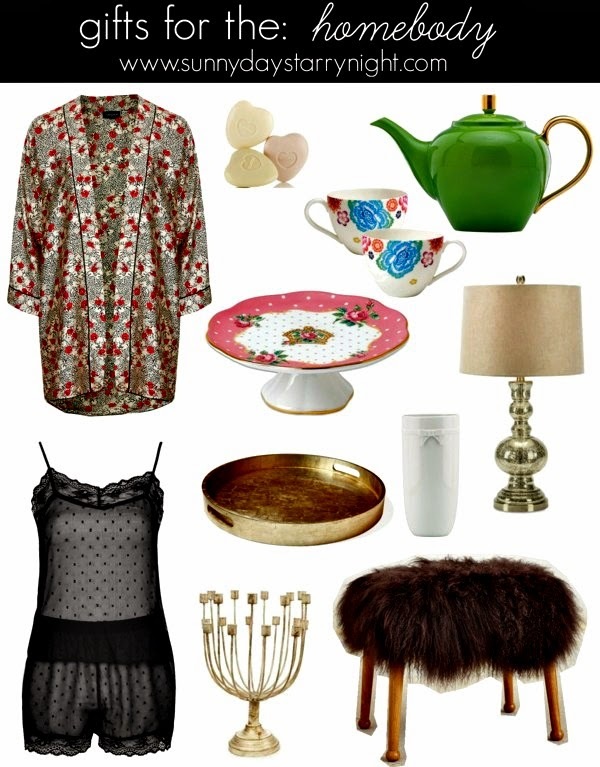 This gift guide contains a gorgeous cake stand to display your delicious cakes on, these cozy slippers with poufs!, and this chic and sophisticated gold bar cart. I love all of your post about gift ideas. They're so hopeful because I'm terrible at gift giving! i want a bar cart something crazy! These are such great gift picks! I'm following you on GFC :) Follow back ? These finds are perfect for me! I love the cute teacups. 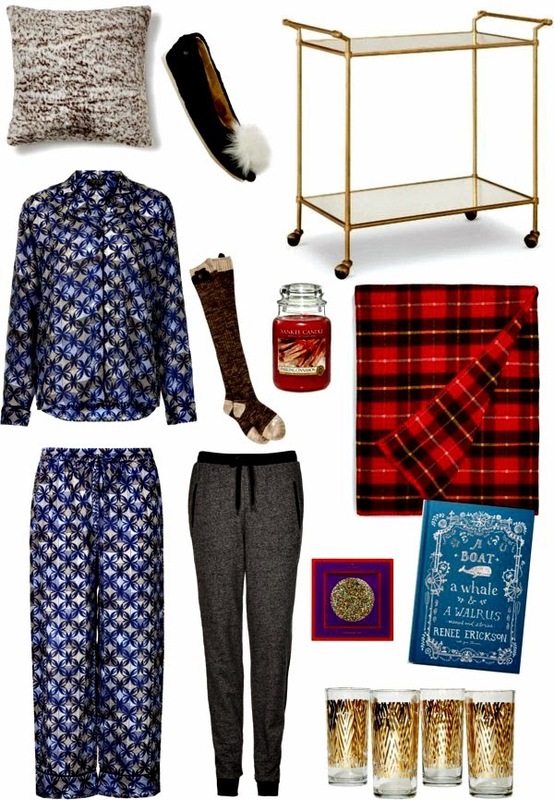 A girl can never have too many bar carts or cozy slippers right? Thanks so much for sending me through the addresses email for the Christmas Card Exchange by the way yesterday! I am 100% ready to snuggle up in the blanket. On the weekends I've become a major homebody. It always happens once it gets cold, so this guide is perfect for me. I am a homebody and I would LOVE each and every item on this list! I only just finished a draft on a gift guide for homemakers myself! What a coincidence. Great minds eh? I love all of these gift ideas x Amazing Post!